Wolfing or Wolfin’ is a very important aspect of the 360 wave process. Many beginners struggle to understand the concept and meaning of wolfing and so this post will go deeper into the subject of wolfing to help you understand what wolfing is as it relates to 360 waves and why you should be doing it. Furthermore, this post will help you understand how to take care of your hair when you are wolfing so that you can get the best results from each wolfing session. 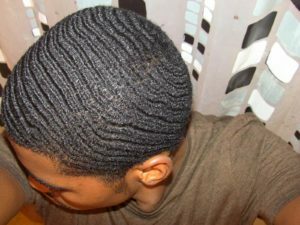 Wolfing, in terms of 360 waves, is the act of abstaining from a haircut for an extended period of time (usually 4 or more weeks). When learning about waves, you may hear various wavers mention that they have been wolfing for “x amount of weeks”. The most common follow up question to that for beginners is, “How do I know when im wolfing?”. This is an understandable question because the terminology can be a bit tricky since over time many wavers have put their own meaning onto certain terms. The most simple way to understand when you are wolfing is to recognize when you are not wolfing. When you get a fresh low haircut, you are not considered to be wolfing. Nearly every person in the wave community would agree on this. Given the definition of wolfing listed above and the understanding that you can not be considered wolfing with a low fresh haircut, its safe to say you can be considered wolfing a few weeks after a fresh haircut when your hair reaches a length that is no longer considered a low cut. For me, as a coarse hair waver, I normally don’t consider myself wolfing until I hit 3 or 4 weeks from my last haircut. During week 3, after a fresh haircut, I like to describe it as me “entering the wolfing stage”. If you have coarse hair, you may find it difficult to wolf for more than five or six weeks due to what we describe as over curling. A lot of wavers make the mistake of thinking that they can’t wolf for too long due to over curling. The truth is that they did not do a good job of preparing for their wolf session. Maintaining your wolf starts much earlier than you think. As your hair grows longer and you enter the wolfing stage, you should think about using a harder brush that has more pull. A harder brush like the 3WP Brush Red edition will easily lay down the hair at the highest of wolfing lengths. You have to prepare for your wolfing session in advance by staying consistent with your daily brush sessions. You will find it easy to maintain your wolf if prepare early because you took care of it as it grew from the fresh cut length to the wolfing length. In addition to consistent daily brush work, you should keep your hair laid down by sleeping with a du-rag on every night. Those two things will keep your hair laid down very well even when it is at the wolfing length. If you use hair products, I suggest using a product that has moisturizing qualities. You must understand that you are wolfing to better your 360 wave progress. 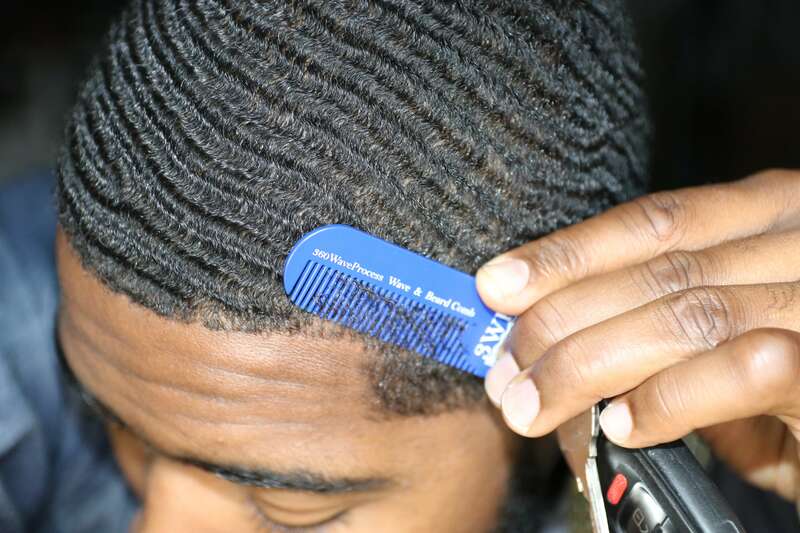 You should be brushing your waves much more during your wolfing time. This process allow hair at the bottom levels to learn the wave pattern you’re brushing to obtain. If you want to make faster progress on your 360 wave journey, wolfing will be your best friend because it helps get the job faster and that’s why you want to wolf. I reccommend, for coarse hair waver to wolf for 4 weeks at the minimum. That means you should only get 1 haircut per month at the most. Wolfing saves progress and also allows new progress to be made. Cutting your wolf to quickly before your lower level of hair is trained can result in lost progress. Put out a 2019 wash and style video bud. We need to know how to do it right for our hair texture.